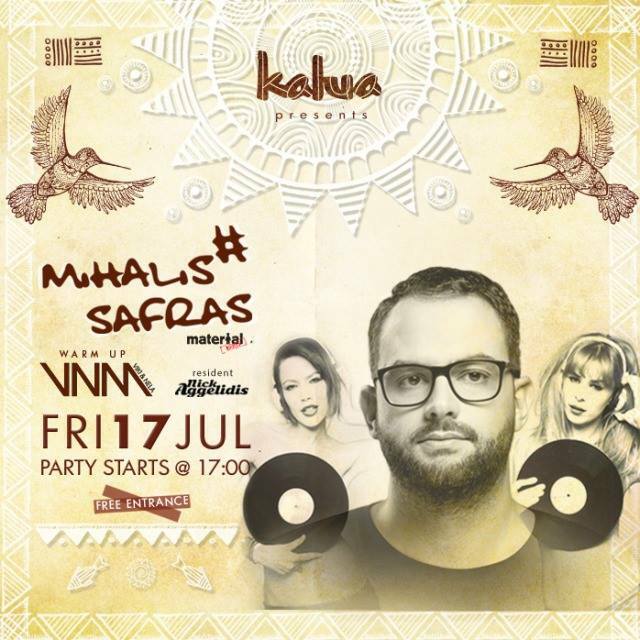 Mihalis Safras appears at Kalua beach bar on July 17! For the first time Mihalis Safras at Kalua! Lets warm up with the hotties VNM DJ’s!! A combination that is not to be missed! Definitely Mihalis Safras is one of the top rated Djs as well one the Top 5 producers worldwide! Let’s produce the most exciting electronic beats of the summer!